Posted on May 16, 2013	by Picture This Great Teaching	in Middle School, National Science Teachers Association	with Comments Off on Van T.
Learning should be engaging, fun and relevant. Students should be able to express their creativity in the classroom environment. 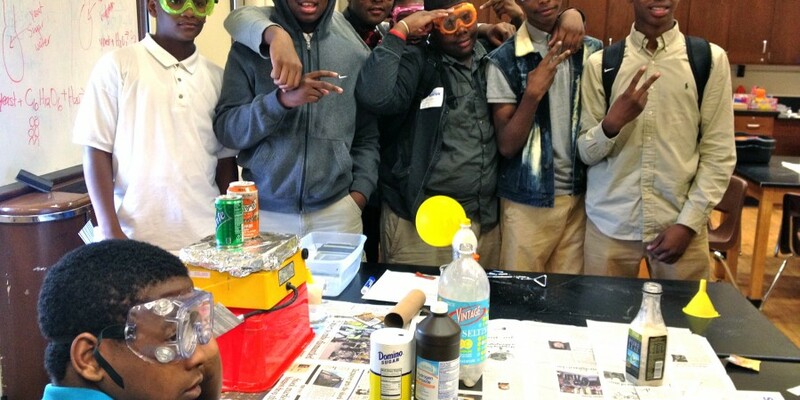 In the picture shown, students are engaged in a science lab, and conducting the “crushing can” and “yeast balloon” experiments.